TicketBay creators (left to Right) Jason Guo, Sam Stevens, Pranav Kamra and Anmol Takiar.Last fall, four computer science and engineering majors launched TicketBay, an app created for Ohio State students to buy and sell football tickets. 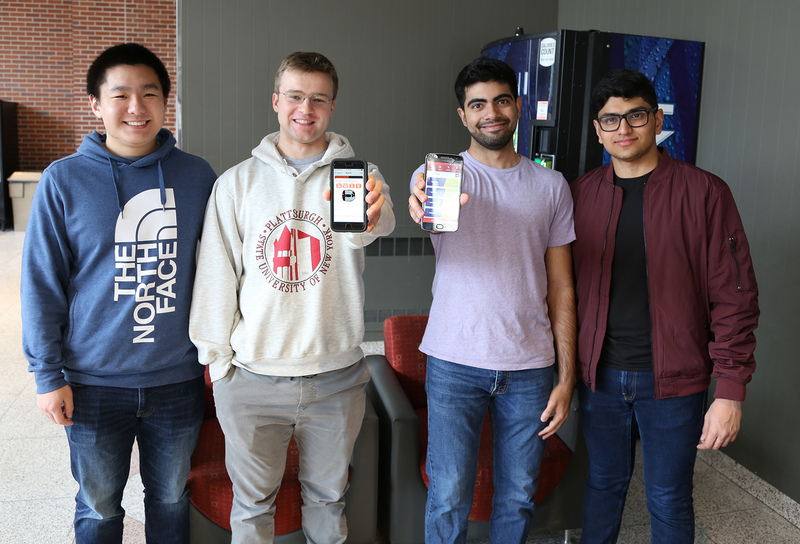 Jason Guo, Pranav Kamra, Sam Stevens and Anmol Takiar first started working together in 2017, when they formed a team to compete in HackOHI/O, Ohio State’s largest annual hackathon. Their team won the best software hack category for their social media aggregator, Fire Trend, but after the hackathon, the foursome decided to create something different that would better benefit students. The idea for TicketBay was developed during the spring semester of 2018. Guo, Kamra, Stevens and Takiar knew they had to create something better than the platforms students were already using to buy and sell their tickets, such as Ticketmaster, Stubhub, GroupMe and Facebook. “The advantage TicketBay offers over StubHub and Ticketmaster is that we don't charge any transaction fees, and since this is a competitive market, tickets are sold at reasonable rates that buyers and sellers are content with,” Kamra said. 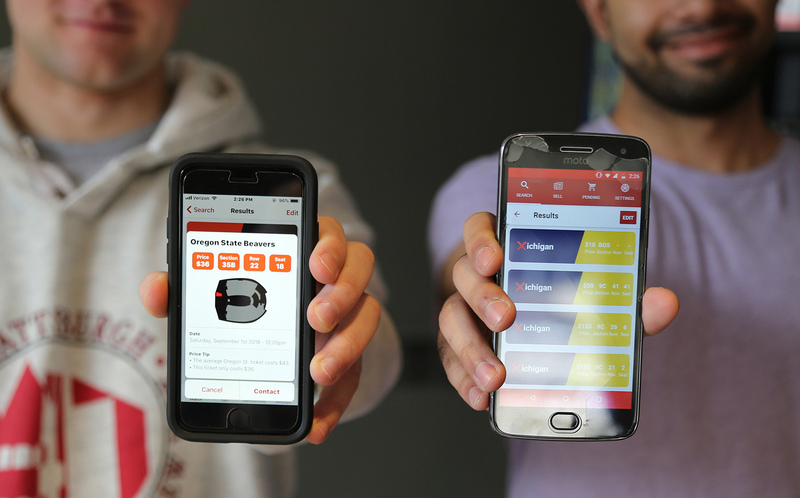 The Buckeye engineers spent last summer learning how to create a product that people would want to use. They said they found a lot of help from YouTube videos on startups. “We went through the app development cycle of building, testing with friends or users and reiterating through that process ... We're still trying to continue that,” Guo said. A free download via the App Store and Google play, TicketBay has 2,700 total users. Despite relying solely on word-of-mouth marketing, Stevens said there were approximately 1,000 weekly users and 1,700 tickets listed during football season. Students show screens from their app that helps students buy and sell tickets.Many of the app’s users have reported that TicketBay is a definite improvement over the Facebook groups they were using, Guo said. Although the team of four is busy with classes, they have many plans for improving their app. Guo mentioned that they would like to expand TicketBay so that students can buy and sell basketball tickets and D-Tix, discounted tickets offered to Ohio State students. They’re also considering expanding the app to other schools that have large sports programs. The team of Buckeye engineers also mentioned some technical features they would like to improve within the app. “[TicketBay] doesn’t have in-app messaging and that’s something we might work on,” Takiar said. The team hopes TicketBay won’t be the last app they create together. Currently TicketBay is only active during football season, but users are always able to submit feedback through the app or by email.